Hannah Marazzi says dialogue is always possible if you have a gracious spirit — and that spirit lives in all of Canada's faith communities. Can Canada's religious communities move beyond basic tolerance? Who among us is living like a person ahead of their time? And what might Canada need to do to catch up with them? Future Now is a series featuring individuals who are living their version of the Canadian future … today. 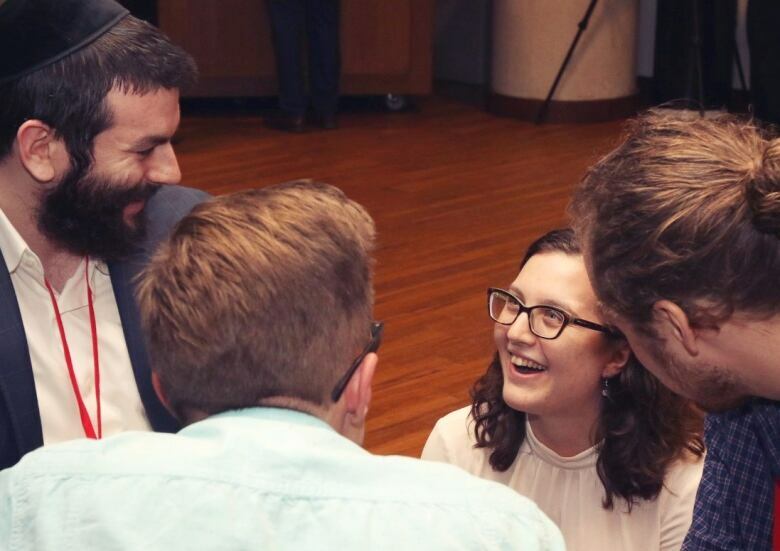 Hannah Marazzi, a Christian who grew up with ties to many faith communities, reflects on how Canada's many religions are already coming together for productive dialogue. I dashed down Ottawa's famous Sussex Drive, my heart in my throat, while pressing the phone closer to my ear. "I could barely see anything as I drove past, but I did see a group of our delegates in the street. There's definitely been an accident." Halfway down Sussex, I heard my name through the sheets of rain. Squinting, I caught sight of a Mennonite delegate from Manitoba. "They're all okay!" he shouted at me, the ever-rushing project lead. "I saw the whole thing. Now come and eat something." 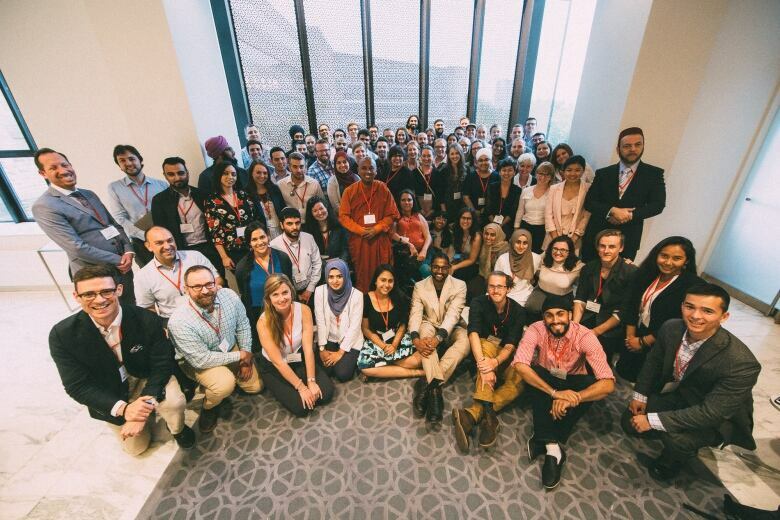 We were two of roughly 75 young people of faith who'd come to Ottawa to discuss the role of religion in public life, the true nature of pluralism and the importance of religious freedom in Canada. Later that evening, I got the full story. 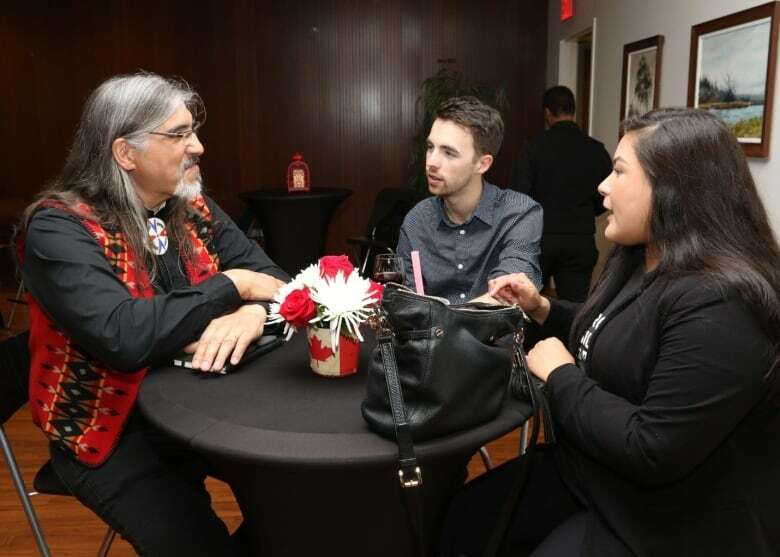 Having just enjoyed a day of robust dialogue, a group of young delegates had exited the Faith in Canada 150 Millennial Summit in search of dinner with new friends. While on their way, they witnessed a sickening crash. Right in front of the National Gallery of Canada, a car collided with a cyclist, sending him flying through the air. Without missing a beat, the new friends worked as a unit. A Christian nurse knelt down and began doing CPR. A Jewish rabbi held an umbrella to shield both nurse and victim from the rain. An Imam and a Sikh delegate assisted at the scene. Another delegate dialed 911. Faith in action, friendship from formation to fruition all in the blink of an eye. "I'm so glad you were all there to help that person," I exclaimed. "I'm so glad you had each other." 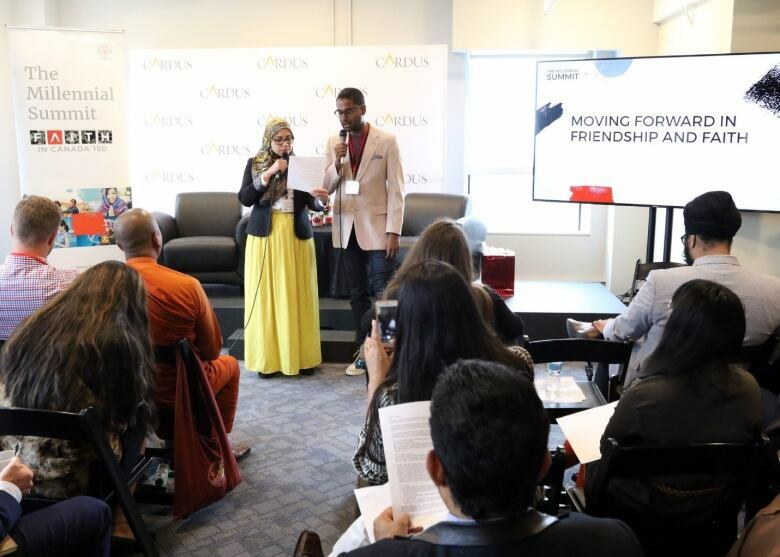 When I first heard that research group Cardus was planning to host an interfaith Canada 150 summit I had said, "I know it can work. It's worked my whole life." 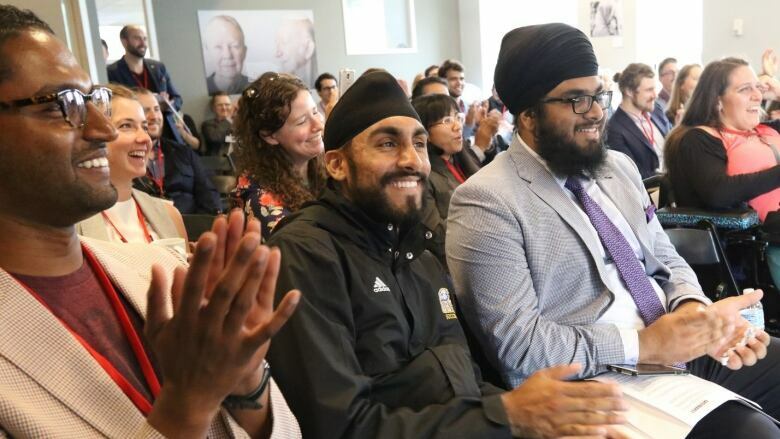 As a Christian who grew up in a Sikh neighbourhood, attended a Mennonite grade school, took courses at a Catholic college and later worked in the Jewish community, my life has served as evidence of the richness that could come when we are free to practice our faiths in a truly pluralistic society. Can religious and non-religious Canadians learn to put faith in each other? Now the Cardus Ottawa office, four doors down from Parliament at 45 Rideau street, has become a meeting place for young people from coast to coast eager to discuss their vision for a hopeful, faithful and friendship-focused Canadian future. Sikh delegates talked to Buddhist practitioners who beckoned for their new friends — rabbis, imams and Indigenous community members — to add their voices to conversations on every topic imaginable. They spoke of mercy, hospitality, extremism, friendship and the new digital public sphere. In front of me, a vigorous discussion about Israel was unfolding between a rabbi and a young Christian who had called Bethlehem home. A Mormon delegate and I looked on in apprehension. "Would you calm down?" the rabbi teased me, smiling. "This is what you wanted, wasn't it? Don't be so nervous. This is why we are here." 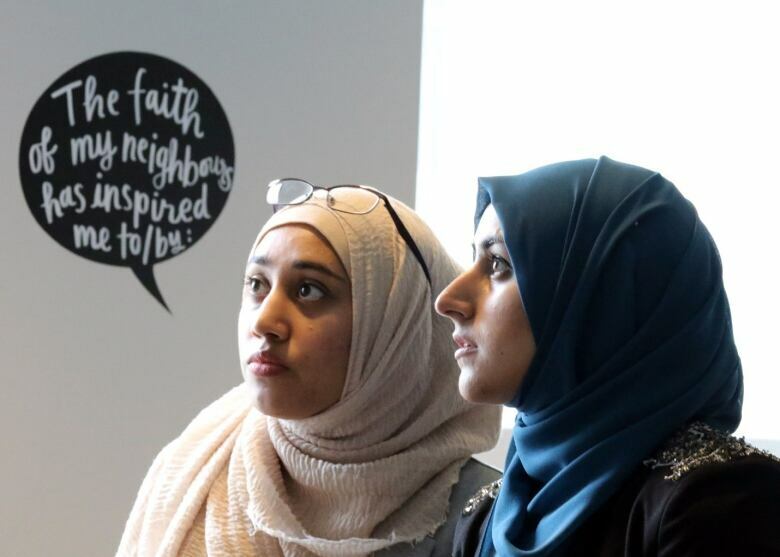 Faith communities from across Canada are committed to building a vibrant, hopeful and faithful future. My train of thought was interrupted. "Come here!" fretted my new Sikh friend. "I have to demonstrate turban tying on CTV tomorrow and need to practice. Now sit still!" Yet another delegate, an imam from Calgary, waved at me from across the room. I passed a Cree Elder listening patiently as a young Indigenous delegate shared her story. In another corner, I spied the Buddhist priest who so often came to stand by and pat me comfortingly on the shoulder when he sensed my fear that perhaps the differences amongst us really would be too great to overcome in those few days. But, over and over again, the delegates surprised me. I emerged from the summit sure in the knowledge that together faith communities from across Canada are committed to building a vibrant, hopeful and faithful future. I learned so many things at the Millennial Summit I hope I'll always remember. I hope to remember that the only way forward is together; that hope is built on sharing our stories, honouring our pain, and taking both with us; that faithfulness does not prevent but rather enables us to engage more fully in the public square. I hope I remember that this common future I speak of depends upon the formation of generous and therefore generative friendship, trust and a full measure of gracious courage to engage with the conversations we so desperately need to begin having. As we look forward to 2018, I hope for a future marked by a movement beyond basic tolerance to the true pluralism of recognizing, respecting and even debating the distinctiveness of each faith. At the same time, I hope for a future marked by a full measure of those values common to each of our faith traditions — hospitality, grace, mercy and love. 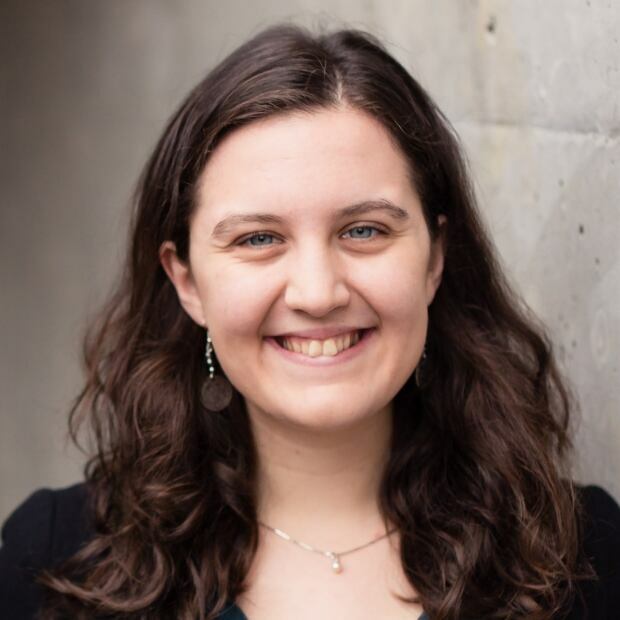 Hannah Marazzi served as the Project Lead for the Faith in Canada 150 Millennial Summit. She is also the Marketing Coordinator at Cardus, where she serves as part of the editorial team for Convivium Magazine — a publication dedicated to enlarging the conversation regarding faith in common Canadian life.